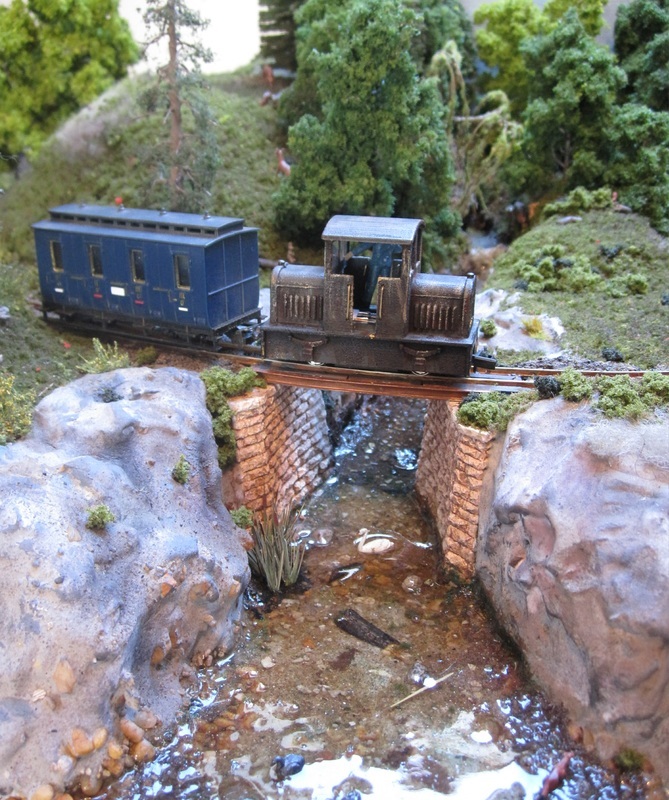 Virtually all locomotives are scratch built 3Dnylon bodies based on Kato 103 or 104 chassis. 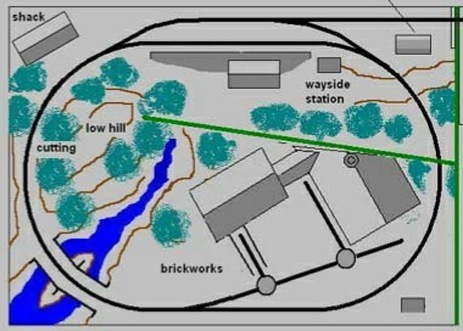 Original trackplan on which this layout is based by Ted Polet (permission obtained). 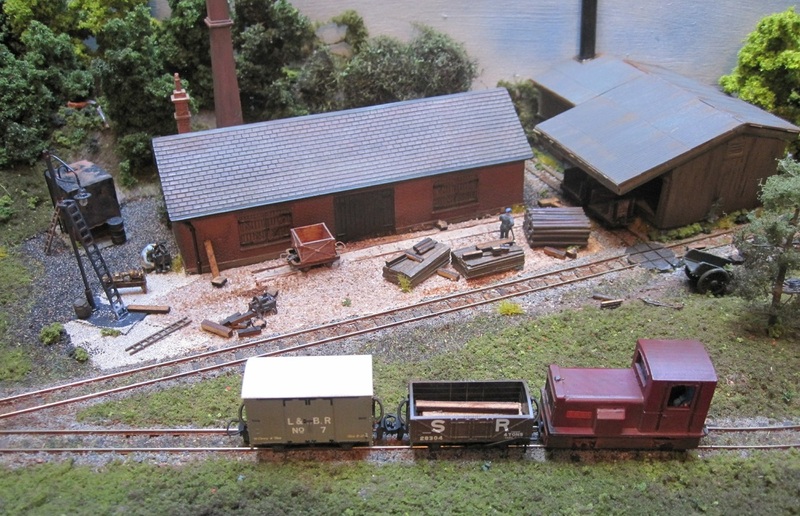 Feb 2016: Cholsey & Wallingford Railway Preservation Society. RHS of industrial side. The roofless building is deliberate so that inside detail may be added. The RHS hut is actually a 15mm Russian wargame house. No buildings are yet fixed in position. River crossing. The intent is to hide the start of the river via a waterfall & overhanging trees. 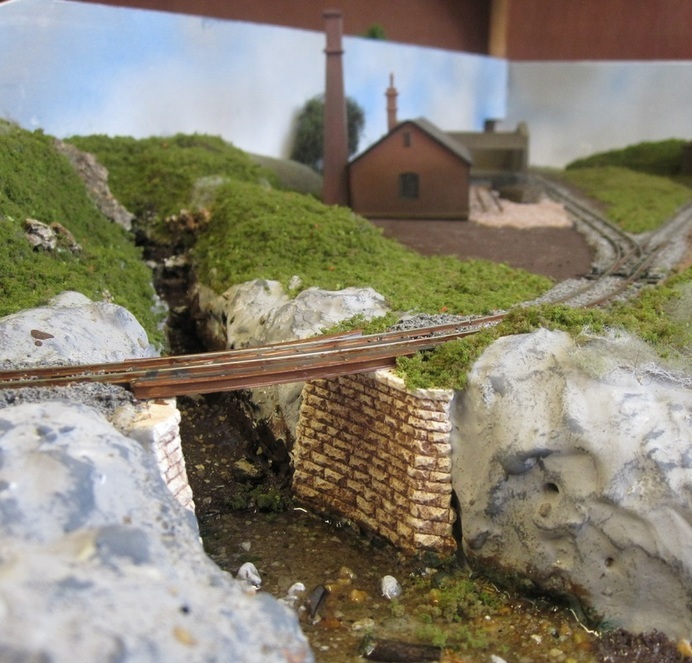 The river banks are constructed with Polyfilla mixed with PVA into a gloop. The bed has been given a coat of bitumen to assist "water" retention once added. 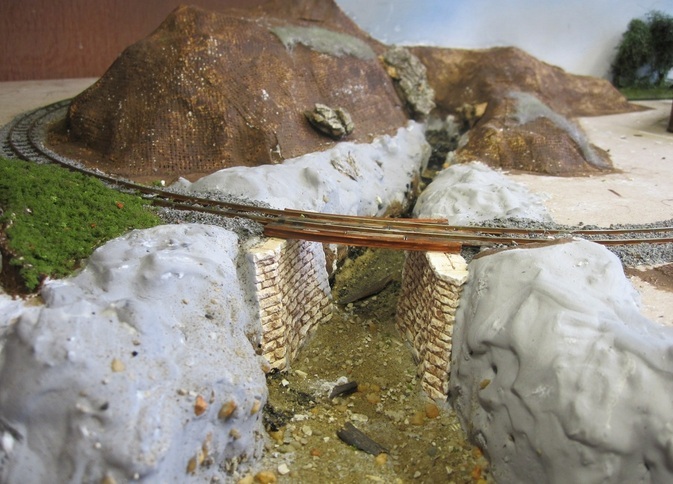 Bridge sides are plaster casts & will be toned down once river colour has settled. 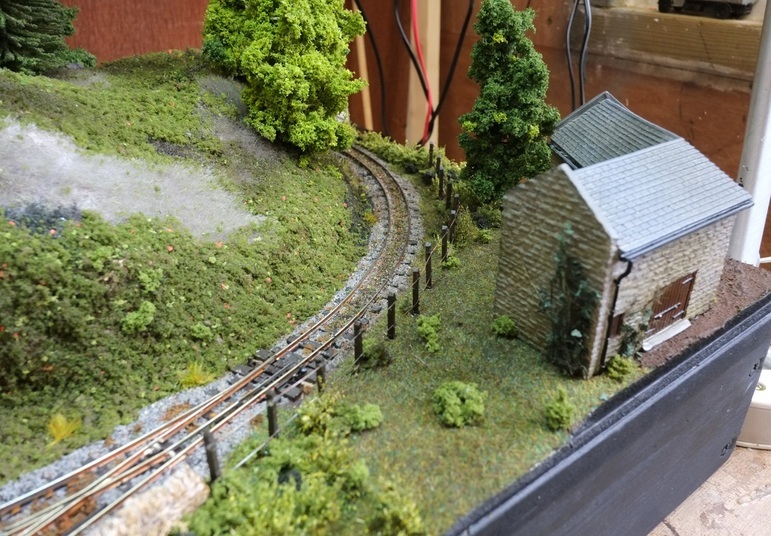 Foliage work on river banks added together with some "water", about 3mm per layer so a long way to go. Full view of the "station" side.t Trees planted at LHS with track disappearing into cutting. Bright white area in centre behind platform is cut polystyrene awaiting plaster cloth & hedging. Platform to be partially overgrown reducing impact of concrete. Sawmill, still minus roof (!). 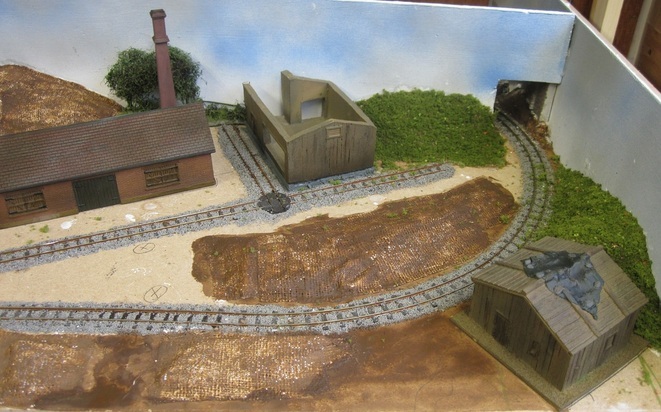 Additional derelict line added in front of the barn. 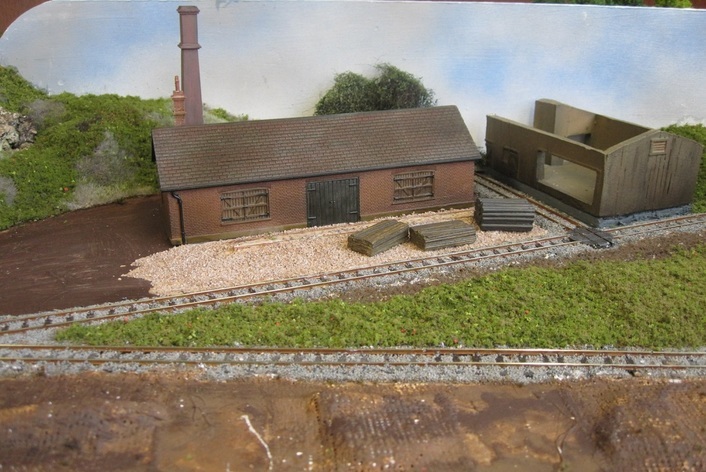 Front of layout still awaiting weeds etc. Industry side progression. Sawmill building now has removable roof with interior workshop lighting. Close up of buildings. Lots of additional detail required. 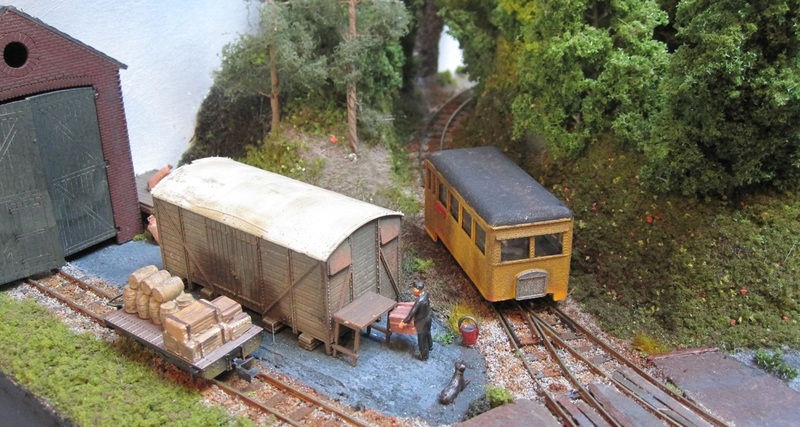 "KydMoor" station with handbuilt loco. Area behind building still to be finished off. 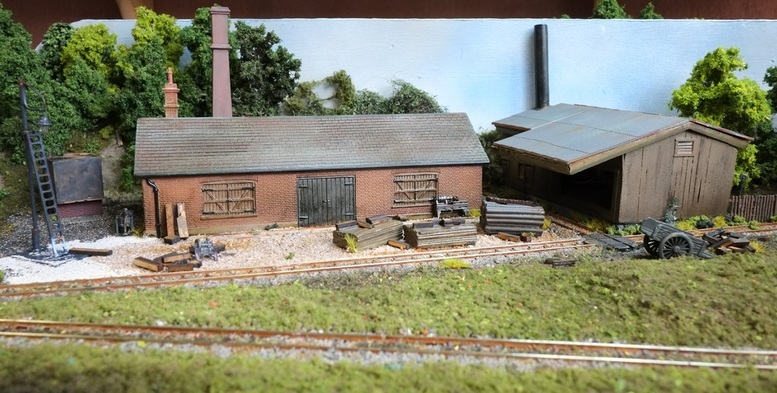 The barn, a 15mm wargames buildings which, against the 009 stock, does not look underscale. 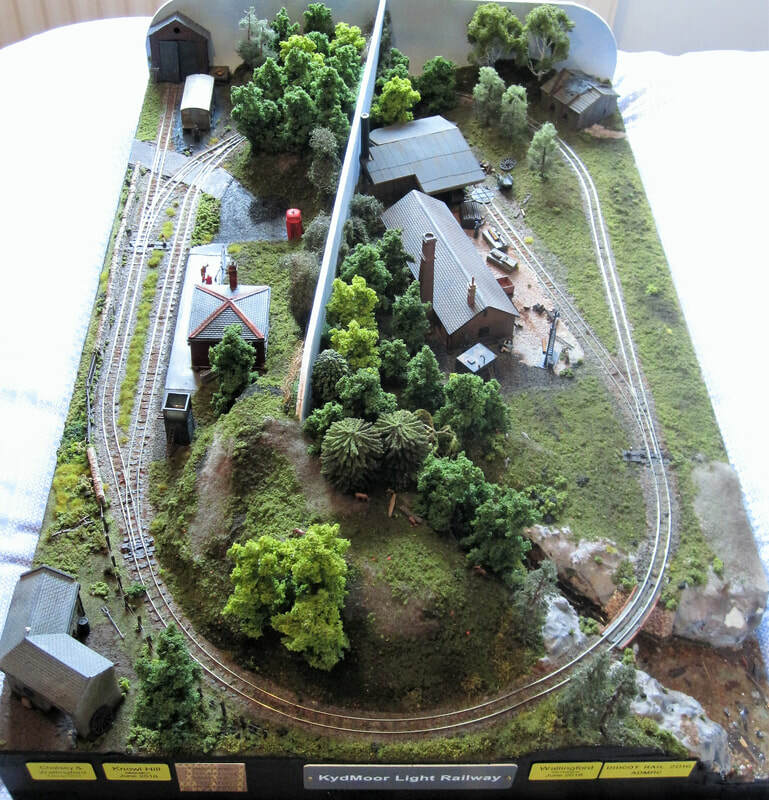 The following five images show the layout in its completed form. The complete layout from the viewing position.